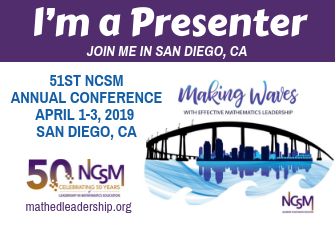 NCSM is happy to announce the 51st NCSM Annual Conference! 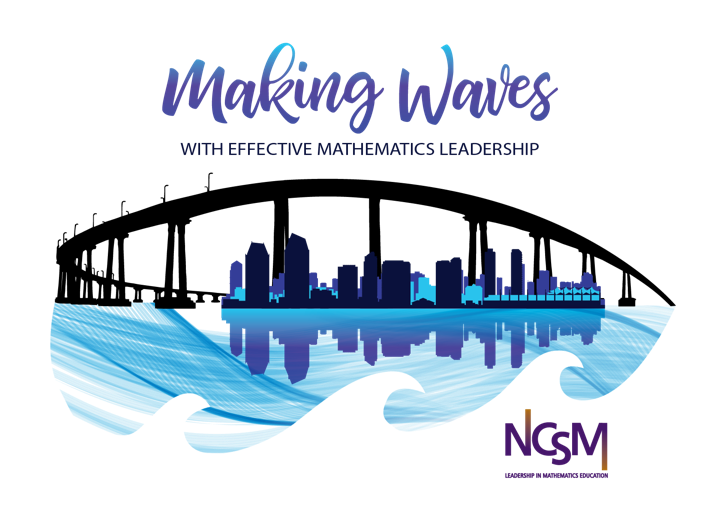 Whether you are a first-timer or a veteran of NCSM annual conferences, join us for three exciting days in San Diego CA, focused on important issues for leaders in mathematics education. 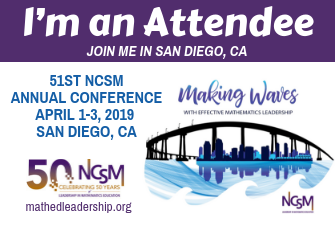 Join us in San Diego, CA, where exciting opportunities await you at our 2019 Annual Conference! 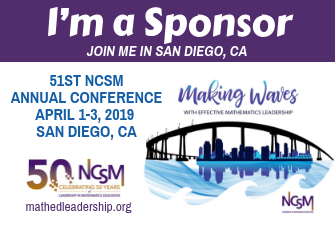 Use the QR code to the right or Download from the App Store or Google Play. If you have the app from last year, you may update it to work with this year's info. 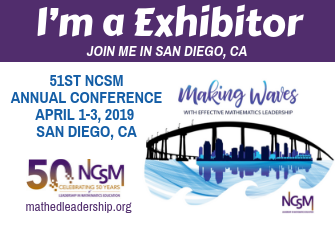 NCSM encourages you to download a "Join me" badge to your blog or share via your favorite social media.